Unlock your own inner wisdom. Tarot cards are often used today as a tool for insight and self-discovery. Learn how to use the cards as a way to learn more about yourself and others. Read tarot cards with confidence and joy! It’s not as hard as you might think. Joanna Powell Colbert’s one-day workshop is perfect for people who are brand new to the tarot or who want to refresh their tarot skills. You don’t need to memorize meanings for all 78 cards in a tarot deck! Instead, we will practice reading the cards intuitively and developing a personal relationship with them. We’ll use the tools of journaling, guided meditations, dialoguing with others, storytelling, and more. On the surface, this workshop is about approaching tarot cards in a non-threatening way, having fun, and getting to know a new circle of friends. But really — it’s about allowing the “foolishness” of tarot play to uncover the deep wisdom of your own heart. We will be using Joanna's Gaian Tarot in this class, but you can bring any tarot deck with you. We will also have several decks on hand for you to use, if you don’t have your own. 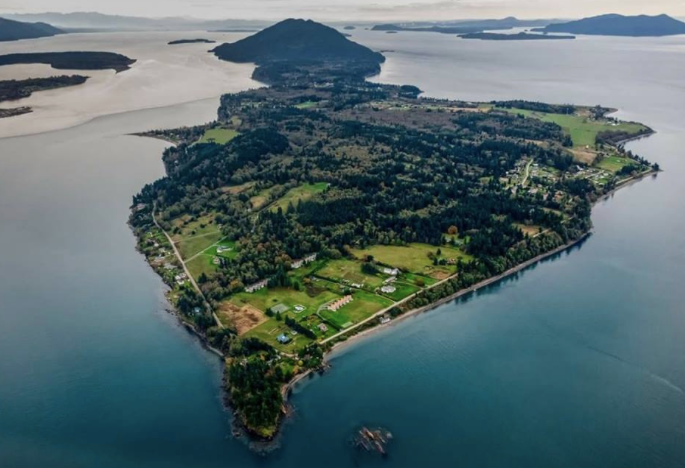 Lummi Island is part of the San Juan Archipelago, located just south of the Canadian border, and is easy to access. It’s a stunning drive from Bellingham (15 miles), Seattle (113 miles), Vancouver (43 miles) and Portland (221 miles). Everyone will take a break and enjoy a delicious lunch together. Later that afternoon, participants are warmly welcomed to join us for dinner at the historic Beach Store Café before catching the ferry home. COMMUNITY CONTRIBUTION: Participants are asked to bring a used book or an item from the library’s wishlist as part of their class fee. (The books will be donated to the library to sell at their used book sale.) Please note, modest donations are most welcome! This is not about quantity so much as reinforcing the idea that we are here to care for one another. If you prefer, you can make a financial community contribution instead (below). As part of your fee, please bring gently-loved books to donate to the Island Library annual book sale. A very modest cash donation is optional, in lieu of a book donation.